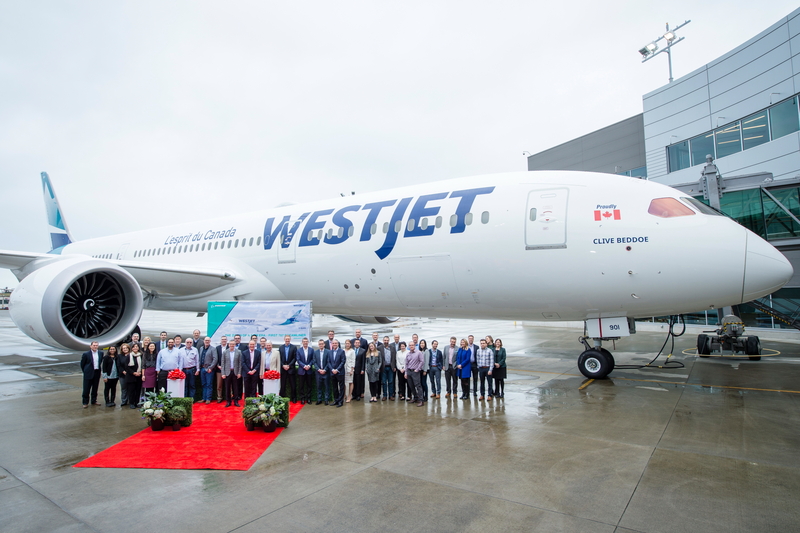 WestJet has taken delivery of the first of ten Boeing 787 Dreamliners it has on order. Having long operated a fleet of single-aisle jets, WestJet will use the long-range 787-9 Dreamliner to launch new international routes. WestJet's 787-9 will accommodate 320 passengers in a three-class configuration. See latest HD Video Interviews, Podcasts and other news regarding: Boeing, WestJet, Canada.